Ernest Borgnine, the rough-hewn actor who seemed destined for tough-guy characters but won an Academy Award for embodying the gentlest of souls, a lonely Bronx butcher, in the 1955 film “Marty,“ died on Sunday in Los Angeles. He was 95. His death, at Cedars-Sinai Medical Center, was announced by Harry Flynn, his longtime spokesman. Mr. Borgnine, who later starred on “McHale’s Navy” on television, made his first memorable impression in films at age 37, appearing in “From Here to Eternity” (1953) as Fatso Judson, the sadistic stockade sergeant who beats Frank Sinatra’s character, Private Maggio, to death. But Paddy Chayefsky, who wrote “Marty” as a television play, and Delbert Mann, who directed it (it starred Rod Steiger), saw something beyond brutality in Mr. Borgnine and offered him the title role when it was made into a feature film. The 1950s had emerged as the decade of the common man, with Willy Loman of “Death of a Salesman” on Broadway and the likes of the bus driver Ralph Kramden (“The Honeymooners”) and the factory worker Chester Riley (“The Life of Riley”) on television. Mr. Borgnine’s Marty Pilletti, a 34-year-old blue-collar bachelor who still lives with his mother, fit right in, showing the tender side of the average, unglamorous guy next door. Mr. Borgnine received the Oscar for best actor for “Marty.” For the same performance he also received a Golden Globe and awards from the New York Film Critics Circle, the National Board of Review and the British Academy of Film and Television Arts. Mr. Borgnine won even wider fame as the star of the ABC sitcom “McHale’s Navy” (1962-66), originating the role of an irreverent con man of a PT boat skipper. (The cast also included a young Tim Conway.) He wrote in his autobiography, “Ernie” (Citadel Press, 2008), that he had turned down the role because he refused to do a television series but changed his mind when a boy came to his door selling candy and said, although he knew who James Arness of “Gunsmoke” and Richard Boone of “Have Gun, Will Travel” were, he had never heard of Ernest Borgnine. Over a career that lasted more than six decades the burly, big-voiced Mr. Borgnine was never able to escape typecasting completely, at least in films. Although he did another Chayefsky screenplay, starring with Bette Davis as a working-class father of the bride in “The Catered Affair” (1956), and even appeared in a musical, “The Best Things in Life Are Free” (1956), playing a Broadway showman, the vast majority of the characters he played were villains. Military roles continued to beckon. One of his best known was as Lee Marvin’s commanding officer in “The Dirty Dozen” (1967), about hardened prisoners on a World War II commando mission. He also starred in three television-movie sequels. But he worked in virtually every genre. Filmmakers cast him as a gangster, even in satirical movies like “Spike of Bensonhurst” (1988). He was in westerns like Sam Peckinpah’s blood-soaked classic “The Wild Bunch” (1969) and crime dramas like “Bad Day at Black Rock” (1955). Mr. Borgnine’s menacing features seemed to disappear when he flashed his trademark gaptoothed smile, and later in life he began to find good-guy roles, like the helpful taxi driver in “Escape From New York” (1981) and the title role in “A Grandpa for Christmas,” a 2007 television movie. “McHale’s Navy” and the 1964 film inspired by it were his most notable forays into comedy, but in 1999 he began doing the voice of a recurring character, the elderly ex-superhero Mermaidman, in the animated series “SpongeBob SquarePants.” He continued to play that role until last year. Ermes Effron Borgnino was born on Jan. 24, 1917, in Hamden, Conn., near New Haven. His father was a railroad brakeman. His mother was said to be the daughter of a count, Paolo Boselli, an adviser to King Victor Emmanuel of Italy. The boy spent several years of his childhood in Italy, where his mother returned during a long separation from her husband. But they returned to Connecticut, and he graduated from high school there. Mr. Borgnine never retired from acting. In the 1980s he starred in another television series, the adventure drama “Airwolf,” playing a helicopter pilot. He took a supporting role as a bubbly doorman in the 1990s sitcom “The Single Guy.” His last film appearance was in “The Man Who Shook the Hand of Vicente Fernandez,” not yet released, in which he plays an elderly man who becomes a celebrity to Latino employees at the nursing home where he lives. On television, he was in the series finale of “ER” in 2009 and appeared in a cable film, “Love’s Christmas Journey,” last year. His other films included “The Vikings” (1958); “Ice Station Zebra” (1968); “Hoover” (2000), in which he played J. Edgar Hoover; and “Gattaca” (1997). Mr. Borgnine, who lived in Beverly Hills, was married five times. In 1949 he married Rhoda Kemins, whom he had met when they were both in the Navy. They had a daughter but divorced in 1958. On New Year’s Eve 1959 he and the Mexican-born actress Katy Jurado were married; they divorced in 1962. His third marriage was his most notorious because of its brevity. He and the Broadway musical star Ethel Merman married in late June 1964 but split up in early August. Mr. Borgnine later contended that Ms. Merman left because she was upset that on an international honeymoon trip he was recognized and she wasn’t. In 1965 he married Donna Rancourt; they had two children before divorcing in 1972. In 1973 he married for the fifth and last time, to Tova Traesnaes, who under the name Tova Borgnine became a cosmetics entrepreneur. She survives him, as do his children, Christofer, Nancee and Sharon Borgnine; a stepson, David Johnson; six grandchildren; and his sister, Evelyn Verlardi. 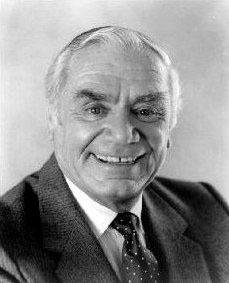 Ernest Borgnine was a great actor who could do many different acting roles. He will surely be missed in the realm of Hollywood. He was a class act. you will be missed on this earth!! !